Mosaic’s partners focus on market rate multifamily rental development opportunities in strategic growth areas within the State of Florida. In addition, Mosaic leads catalytic urban master developments with a mixed use product approach, which serves specific needs within each community. Mosaic has a great depth of experience in the public/private partnership arena spearheading community-wide urban renewal efforts with notable results through transformative projects. In 2015 and 2016, the Mosaic team members embarked on development opportunities in Ft. Myers, Bonita Springs, Clearwater, and Kissimmee, Florida representing approximately 1,000 units of multifamily rental housing and 24,000 square feet of retail. Present pipeline for future developments include St. Petersburg, Orlando, North Tampa and other strategic locations within its Florida footprint. 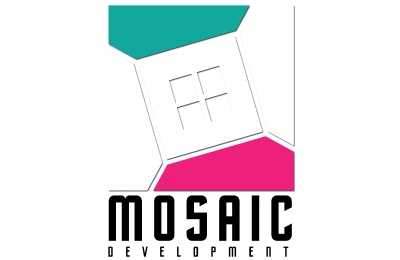 Mosaic Development is comprised of seasoned real estate development professionals representing all of the disciplines within the development, from inception to preliminary and finite financial modeling, site and building planning, design, engineering and construction. Our operational team members provide in-depth guidance on market rent setting, product absorption analysis to interim and stabilized expense setting.